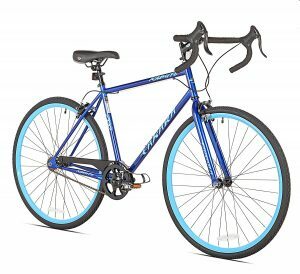 Are you looking for best street bicycle ever? As we watch from high rise apartments or look around while we are driving a car or traveling in a bus, we are certain to come across scores of people moving around in bicycles. There is no doubt that this has become a very important mode of transport not only in small towns and villages but also across many big cities. This is because of many reasons. Increasing prices of crude oil has pushed many people to opt for cycling. Secondly, many of us lead a sedentary lifestyle and the best way to give our body some exercise is to force ourselves to ensure that the bodies get some ways and means to burn out excess calories and remain in shape. Hence there is a growing demand for cool street bicycles and their demand continues to grow in spite of large scale automation of communication. We now have a look at five models of street bicycle and hope that it will help customers to make the right choice. This is a twenty one speed street bike and is known for its great looks, sleek appearance and its ability to zip across the road. It comes from the stables of Vilano and this is one more reason why it is considered so very popular. It is feature rich and here are a few of them. The double butted aluminum frame is a big takeaway as far as this cool street bicycle is concerned. It is made from high quality 6061 material which ensures that it is tough, long lasting and virtually free from rust and corrosion worries. The fork is again standard stuff made with threadless technology and measuring 1.1/18 inch and 700c. The bike also comes with Shimano A050 SIS Handlebar mounted shifter which helps in easy change of gears. It also comes complete with Wheelset and with free pedals. The tires are also of the best quality and are branded. It is a complete and total bike offering the best of street biking and can handle any type of surfaces quite well. It is a bike which gets the job done quite well though it may not be of the best designer bikes which come for many thousands of dollars. It comes almost full installed and with the help of good LBS (local bike shop) you can get the rest done. Regular tuning of gears might be required particularly if you are heavy rider using pedals almost continuously. The final word about this bike is that it is built to perform on the road and it certainly delivers on its promises. It is built to last and any small problems can easily be attended by the local LBS. There are some issues with regard to pedals and brakes and the same can also be solved quite easily. In fine, it is a bike which is designed to offer value for money. This is a big bike with a 56 CM frame and being from the stables of Schwinn, it certainly is supposed to be in contention for the best street bikes. This is the best bike for street riding. It has quite a few attractive features and it could well and truly be a different biking experience if one were to go by the various features, a few of which are being discussed here under. 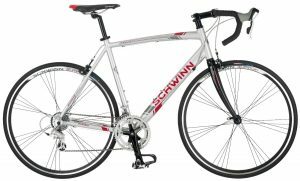 The biggest takeaway is the high quality Schwinn aluminum road frame which ensures stubbornness, toughness, durability and freedom from rust and corrosion. Then we have the carbon fibre road fork which ensures agile and quick riding. It also comes with 16 speed derailleur and integrated shifters. This also is the exclusive product of Shimano Claris and is not assembled. The alloy rims are of nice quality and the spokes are evenly paired. They are lightweight and strong. The Promax alloy caliper road brakes are known for its quick release and it offers the best of braking power and therefore safety is ensured at all times. The seat and various other components are of reasonably good quality. It is bike which weighs 26 pounds and it certainly is no big weight considering the parts and attachments it comes with. It is perfectly suited for a person with a height of 5 feet 8 inches. They do have a smaller model but that is for use by women. It is built to last for many years and will always travel like a wind. There are a few customers who have complained of few minor scratches as the bike arrived from the packers. In fine, there is no doubt that this is a quality bike which has been built to perform to the best of its abilities. It has the best of warranty and guarantee terms and the after sales service and spare part availability is also of the best standards, making it popular amongst customers. 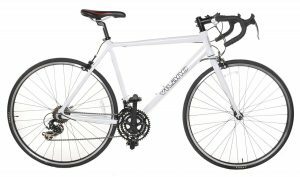 Are you looking for a quality 21-speed road bike with the best of features and functions? If yes, you could be in the right place. GMC is out with the new Denali Road Bike. It is evincing lot of interest and excitement among cycle enthusiasts. It would therefore be interesting to have a closer look at the bike and have a look at some important features. 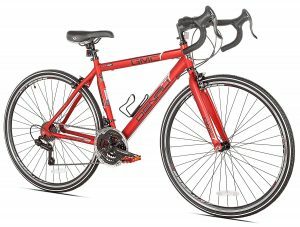 As mentioned earlier it is a 21-speed road bike making it unique and versatile when compared to other bikes in the market. It comes with quality alloy brake levers and alloy calipers making the braking system quite sound. It also has high quality and long lasting racing rims made from Vitesse alloy material. The Shimano Revo shifts and Shimano Derailleur makes it a complete and dependable gear changing system. The tires are made for rigorous biking and suitable for street racing. They have anti-puncture features built into it. 85% of the bike comes assembled and by spending around 60 minutes, you could have the bike up and running. Given the price at which it is being sold it certainly is a big contender for the good street bikes. Whether it is the wheels, the quality of braking system, the tires and other fixtures, there is nothing very to complain much about this bicycle. The only area of concern is the time it takes for fixing up the bike once it arrives. This can be reduced quite significantly if you take the help of a good bicycle mechanic. The bike is being made available at a very attractive price. Though it may not be of the same quality of the expensive variants costing upward $1,000 there is no denying the fact that it comes with a number of attractive features promising good value for money and performance for many years. This is another 21 speed bicycle which is creating ripples of excitement among the cycling community. It also comes with the best street bikes brand name Merax which is quite well known for its good track record. It has a number of attractive features and it would be worthwhile having a closer look at the same. It is perfect combination of sturdiness and being lightweight in nature. This is possible because the frame is made from high quality 6061 aluminum material. This goes a long way in making rides smooth, easy and it also can be carried and ported around physically when necessary. The shifting and gearing options are perfect because of the use of Shimano shifter and Shimano derailleur. The front wheels come with quick release feature making it easy to install and uninstall when needed. The aluminum kickstand plays a big role in reducing the weight of the bike. It comes with a product description which helps you to make the right buying decision. It weighs around 28 lbs, but certainly is all lean muscles and tissues ready for the rough and tough road and street cycling and racing. It looks stunning and has an ergonomic design making it easy to pierce through winds and resistance quite easily. The aluminum frame is simply amazing and it plays a big role in reducing the weight of the bike quite a bit. Lack of adequate hand bar space is a complaint from a few customers. This because the thumb shutters take up most of the hand bar space. There is nothing major to complain about this bicycle and it has quite a few positive attributes about it. It is reasonably priced, has the best of materials used for frame, fork, handlebar and the gearing system. The braking apparatus is also comparable to the best in the market today. All in all, it is a bicycle which walks the talk in almost all parameters. Being single speed commuter bike, the manufacturers have taken pains to ensure that it has the required things that are expected of such a bicycle. For example the rear flip-flop hub is excellently designed and has the best workmanship associated with it. It facilitates alternating between fixed gear and free wheel quite easily and without any big effort while on the move. The frame quality is also excellent. It is tig welded and made from high quality steel. The same is the case with the fork. The rims are also made from high quality alloy and the same is the case with side pull brakes. It is a complete bike in all respects. It looks great and is quite competitively priced. The frame is light but extremely tough and strong. The quality of packing is also good and it comes 85% fully installed. The remaining can be done without or without professional help. The bike does not come with shocks and therefore there could be the need to go in for LED lights during the night. Since it is a fixed gear bike it is priced quite reasonably. But it compares quite favorably with top street bikes and the fact that it is from the house of Takara perhaps makes all the difference. It has all the features, functions and most importantly after sales services which go a long way in making it quite different from others. Now that we know the various benefits and advantages associated with cycling, we certainly would be on the lookout for the good street bicycle. However, choosing the right one is not going to be easy. This is because the market is very crowded out there and there is intense competition. Whether you go to the online stores or the brick and mortar stores, you are sure to come across a crowd of bicycles. This problem of plenty makes the job of choosing the right bike difficult. Hence you must have some clearly defined guidelines and that is what we are trying to provide over the next few lines. We will try and show you a few useful tips that could help you to make the right choice. When choosing any cycle, including street bicycle, the frame material without any doubt is extremely important. This is considered to be the backbone of your bicycle and therefore you must be sure that you choose frames which of best quality. They should be made either from steel, aluminum, titanium and other such strong, rust free and corrosion free materials. Yes, budget is an important attribute when you are deciding to chose what you consider the best street bicycle. This would depend whether you choose a plain and simple street bike or would like to go in for hybrid ones. The price could range from around $300 dollars and the sophisticated and the designer variants could be as much as $5000. Therefore you must choose something that is in line with your pockets and it must meet your specific needs and requirements. The quality of wheelset is also an important factor to be taken into account when you are buying a street bicycle. The quality of the rims, the quality of alloy which has gone into the making of the wheel, the number of spokes that is accommodates, the width of the rim, the spokes and hubs are all a few things which must be kept in mind when buying the right wheelset. Brakes are a very important component for any bicycle and could make the different between safety and serious injuries. You could either go in for rim brakes or disc brakes. However, experience has shows that the latter is a better option because the braking components are kept inside the disc and therefore they are less prone to wear and tear. 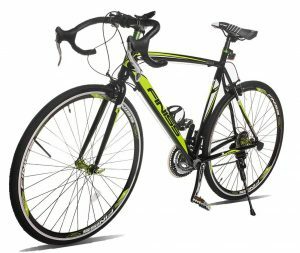 There is a regular debate as to which is a better buy, a mountain bike or a regular street or road bike. The answer to this question would depend on the end user and his or her specific needs and requirements. However, most of us would look forward to a safe, reliable, and convenient mode of transport. Towards this objective there is hardly any doubt that going in for street bicycle would be a better choice. There are a quite a few advantages as far as best street bikes are concerned and here are a few of them. They are often referred to as sports cars of the world. They are extremely fast while on the move and they are flexible and easy to maneuver and control. They are also known for their speed efficiency and this is mainly because they are light weight. Here are some obvious reasons as to why it makes sense to choose the right street bicycle. Though different types of bikes have different speed levels, there is no denying the fact that cool street bikes are in a league of their own. They are known for big wheel size and narrow width of rims which adds to speed without compromising on safety parameters too much. They are extremely lightweight and this is mainly because of the type of material which is used. This is because they have been basically built and designed for performance for both smooth and hard surfaces. It can perform quite well on asphalt as well as concrete surfaces. However, it is not designed to jump over barriers, move down rocky paths or travel through slippery sand. They are basically designed for speed and performance. Efficiency is one more reason why it makes sense to go in for these bikes. They have the best of lightweight construction, and wheels that are super fast. They ensure that they bring out the best of athletic talents in you. The light weight components are a big plus though at times the wheels might be a bit of a drag. They are hallmarks of bicycling where efficiency, speed and easy control are the three main attributes. Though they may not be in the same line as that of specialty bikes, they are quite affordable street bike. This however would depend on the type of customizations which you would like to make. Even the good & cheap street bike should not be so highly priced so as to make a big hole in your pocket. There are obvious a number of reasons as to why it makes sense to buy these best street bicycles. But as is the case with other bikes, it requires quite a bit of understanding about the various factors which go into making a good bike the best.